YWAM offers training programs in over 300 locations and 110 nations. 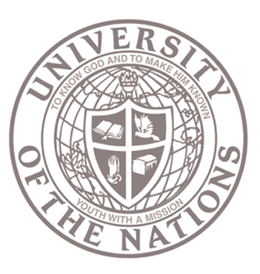 YWAM’s global university is called the University of the Nations (U of N). Each of the U of N locations is committed to discipling men and women, while equipping them with the professional skills necessary to serve and to reach the world for Christ. The U of N offers training for people involved with cross-cultural work and/or Christian ministry through studies in Arts, Christian Ministries, Communications, Counseling & Health Care, Education, Humanities & International Studies, and Science & Technology. The university seeks to combine traditional classroom learning with a discipleship atmosphere and practical mission-field experience. The University of the Nations hosts many students from around the globe who come to study a variety of subjects. Many schools are bilingual. While there are seven main campuses internationally, hundreds of individual YWAM locations host U of N schools. To apply for a U of N course, you must first complete the Discipleship Training School (DTS)† and then search the UofN.edu site for other training opportunities that interest you or read the U of N catalog (via the U of N web site). Once you’ve found a training program that interests you, you can apply or get more information directly from the location offering that school.